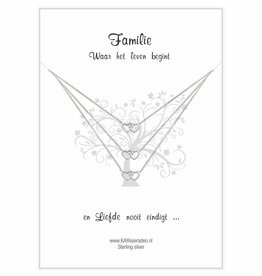 Do you have a wonderful relation with your family? 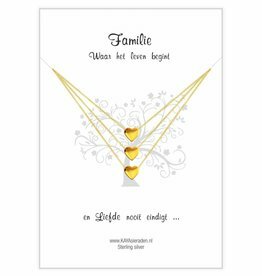 KAYA designed greeting cards that symbolizes the bond between family. 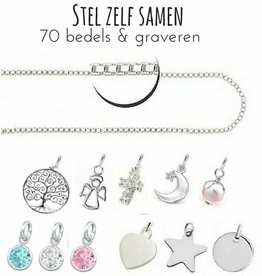 Example the little girl carries little hearts that fit into that of Mom and Grandma, how sweet is that? Or choose three silver puffy hearts, subtle and brilliant at the same time! 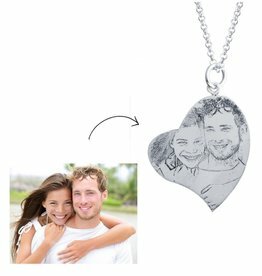 A piece of jewelry to give is even more special by combining greeting card & jewelery with lyrics from the heart. Made from the most luxurious materials like real silver with real gold plating. Each gift card is luxury wrapped in a red jewelry bag, surely that this gift will be the best present of the party. KAYA designs and makes her own jewelry. So if you want another combination or an extra charm, this is all possible. Let Tanja know via: info@kayasieraden.nl, within 24 hours we will give you an answer. 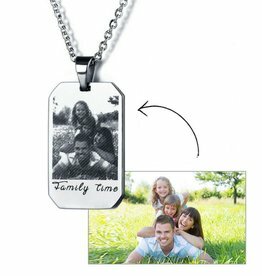 Beautiful symbolic gift to seal your family band! The heart is beautifully plated (silver with a layer of real gold). What will you shine with your hearts of gold! 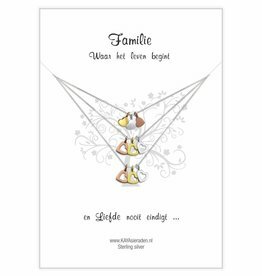 Symbolic greeting card for three family members. The hearts symbolize your unconditional love for each other. Beautifully packaged in a red bag, be sure that this gift will be satisfying. 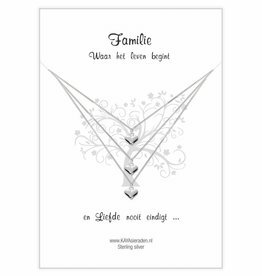 .925 Fine silver link chains especially for grandma, mom and granddaughter. 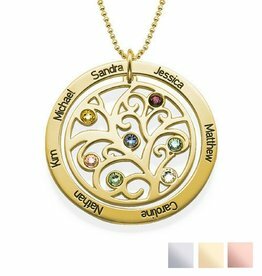 The three hearts in silver and gold-plated rose and gold symbolize your band. 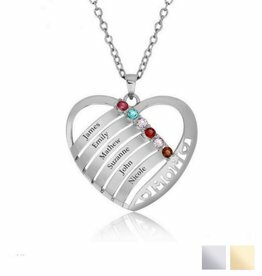 The hearts of daughter fit into that Mom and grandma, how sweet is that ?! Three sweet hearts shine towards you. The hearts are symbolic of your intense band, how sweet is that? 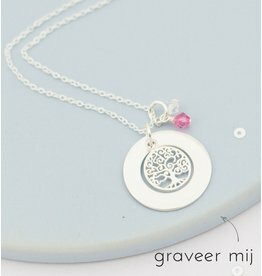 Through-and-through silver, forever beautiful!